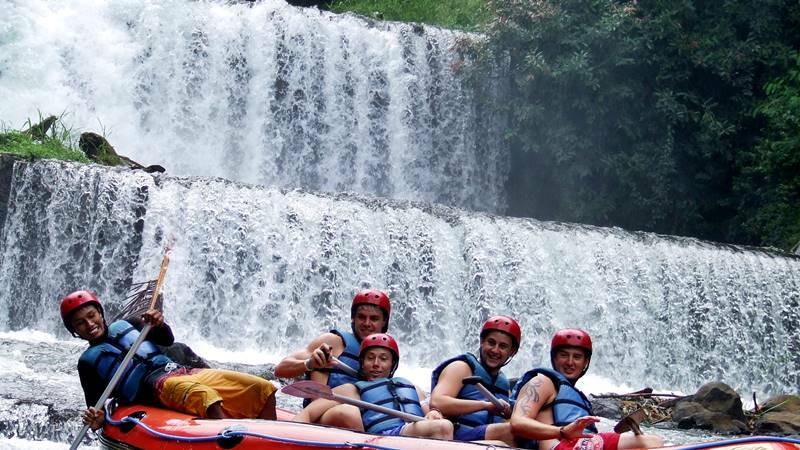 Whitewater Rafting Class Level of Bali River Rafting – Whitewater rafting is an amazing activities outside. They deal with adrenaline and nature experience. Every river has various difficulty levels. Learn more about the different rapids types of whitewater rafting class level before going out to the water. Especially if you want to do rafting on Bali island. 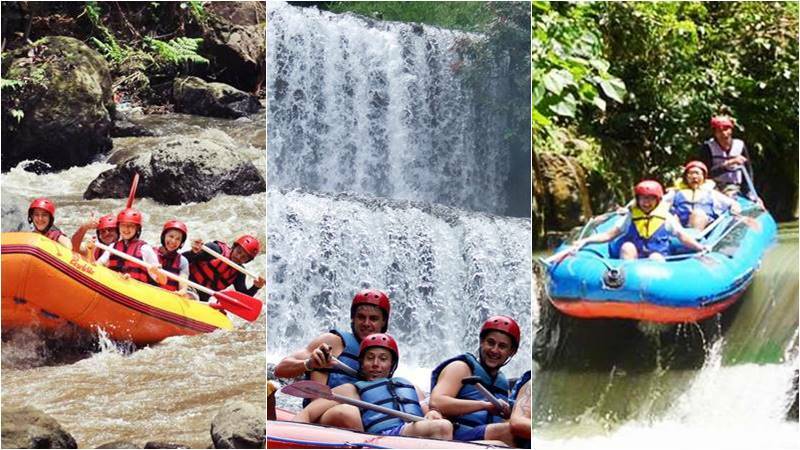 As in several articles that we have published here, there are only three rivers that are used as places for rafting activities in Bali: Ayung River in Ubud, Telaga Waja River in Karangasem, and Melangit River in Klungkung. 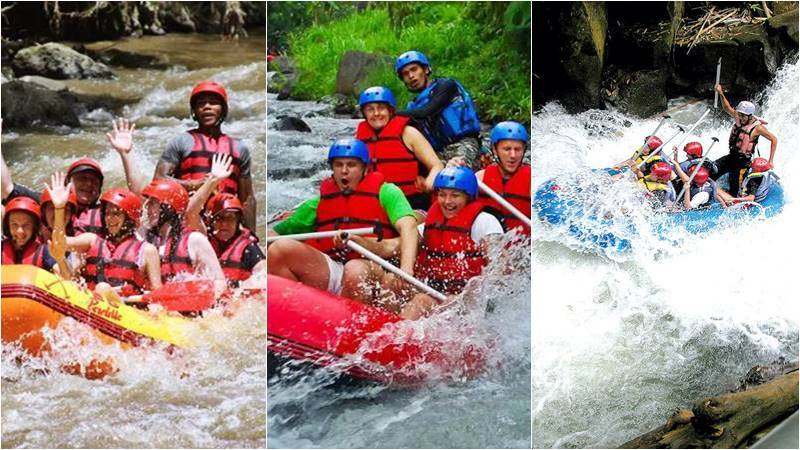 You will know more about white water rafting rapids, so you can understand and know what kind of river your favorite Bali rafting trip and your ability to do. Rafting trips are an extremely difficult adventure with an inflatable rubberboat. All the members who want to go rafting should use a live jacket and a helmet in addition to using an inflating raft. However, if you prefer adventure on the beach than on the river, we recommend visiting a website about watersport on Tanjung Benoa, Bali. River Rapids: How Are They Classifieds? When it comes to whitewater rafting, it can be like strolling in the park or crazy rollercoasters, depending on the river. According to the American Whitewater Association, the international river difficulty scale is divided into six difficulty classes. Each class or grade requires different levels of skill. Consider this information before you choose your river the next time you’re in the mood for whitewater rafting. Class 1 rapids typically are small ‘rapids’ that are best suited to young families, canoeing and wildlife viewing. Your rafting guide will sail most, your paddle will simply move you down the river. There is very little risk that the boat will ever fall off. The water would be so calm if you did that you could easily get to shore. Basic skill level required. Class 2 rapids provide a little bit more fun for small waves and drops. Recommended for shy first-time rafters and children from 9 or 10 years of age. Class 2 rivers generally have large, clear channels with easy maneuver waves and very readable rapids that are little risky. Your rafting guide should be able to keep the course with little paddler assistance, but waves up to 3 meters high can be so important to listen to the instructions of your guide. The paddling skills necessary, on the particular part of the river, there will be some big rock. Class 3 rapids contain medium waves that are irregular and sometimes have obscured obstacles that require a well-trained professional guide. A little more difficult, class 3 river runs still make great fun at every age. Class three rapids in a canoe would be difficult, but they are fun and moderately easy to maneuver on a river raft. As long as you remember safety procedures, listen carefully and follow the instructions of your river guide, you should be able to remain in the raft at a only slightly moderate risk of unintended swimming. Need paddling expertise, few small waves; rock and drop, but little. It is not seen as dangerous in this whitewater rafting class level. Class 4 rapids are technically quite difficult and require a well experienced guide, a scouting team and kayak security. Although it’s still a good choice even for beginners who are well fit and comfortable in the water, the recommended minimum age is 12, as it requires strength to paddle hard when needed. It can combine narrow canyons with fast drops. This means that you are much more likely to bounce out or reverse the raft. Pay close attention to your safety instructions as you start your rafting tour, listen to and follow the instructions of the river guide, be prepared to paddle hard whenever necessary… and don’t be afraid if you fall out! Your security team maneuvers to get you back into the boat in a secure manner. Whitewater, few medium waves, some very large rocks, still considerable drop, sharp maneuvers are necessary. Class 5 rapids were considered highly technical and difficult. Whitewater rafting class level 5 rapids pass through narrow canyons and gradient drops, just a step from the waterfall classification. Rapids of class 5 are only recommended for professionals who are well physically and very aware of the river running. If you have a lot of experience in White Water rafting and are in great physical shape, you can run commercially a Class V River, but make sure to have an experienced river before trying your own new river. Precise maneuvering is extremely necessary, very advanced whitewater skills are needed in this whitewater rafting class level. The highest grade in the rapid classification of white water rafting. Very hazardous, not try if you’re not a pro. This class is not navigable or safe for most people. The rafting company won’t raft at six rapids classes. Huge rock and high risk, a substantial drop. Persons living at that level can be considered to be a matter of great happiness and suicide. The Ayung River Ubud, very suitable for the beginner (class 2-3 rapids). The Telaga Waja river in Karangasem (class 3-4 rapids), very well suited for beginners and those looking for more excitement. The Melangit River in Klungkung (class 3-4 rapids) is still considered safe river for white water rafting, as it is suited to those that have rafted twice and want more adrenaline pump. Whitewater rafting is a delight for those who need rush. 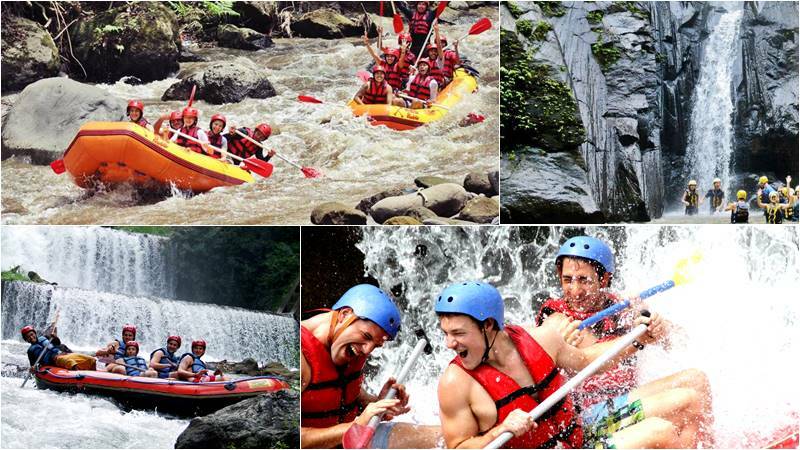 Come and enjoy rafting in Bali and experience the thrill of outdoors, rafting on mountain water and the rapids class 2 until class 4. Book today your upcoming adventure!